As you all know by now, SportsChump is a website of the people, by the people and for the people. In the past, I have asked countless dozens of you to participate, comment and share your experiences as sports fans. One such newbie is the latest to do so. This young gentleman has yet to comment on the site but rest assured, he lurks in the shadows, reading and waiting for his moment to strike. He is also a proud alum of the most dominant university college football currently has to offer. No, I’m not talking about the University of Alabama, which his alma mater proved recently plays second fiddle to his school, Clemson University. Ladies and gentlemen, I proudly present Nele’s first ever contribution to this website. Nele has graciously offered to share his experience with Clemson firsthand and not only how, but why, we have seen a changing of the guard. Four scores and a month ago, college football experienced a fresh chapter scribbled over the old narrative that was never anticipated as long as Alabama had a coach named Saban. Clemson’s climb to the top is the first of its kind regardless of brand, logo, or allegiance. This story is one of the most impactful and unlikely stories in the history of all college sport and may also be the most overlooked in recent memory. For over a decade, media preached about the powerhouse SEC and their built-to-win defenses. Honestly, the game plan is simple: limit opponents’ scoring so mediocre SEC rushing offenses could squeak out the win (except Tim Tebow’s Florida). Alabama is already listed as pre-season favorites to win the title in 2019 in multiple polls, despite Clemson blowing them out in the championship game, returning their offensive core, reloading on defense with sophomore 5 stars, and keeping their coaching staff with undeniably the best defensive coordinator in College Football. The time has come to finally put that SEC-homer narrative to bed. Only 2 teams have ever won an NCAA Football National Championship or playoff game while also outside of the top 20 in total spending. Clemson is the only program to do so in either category and achieved both feats multiple times (2017 and 2019 championships, and 5 playoff victories). According to USA Today, 11 SEC teams wound up in the top 25 for total spending in 2018. Clemson came in at 26th. 11 programs in the SEC spent more than Clemson did this year on football and not one of them could take down the Tigers. In fact, Clemson challenged 5 programs this year who were confirmed to have bulkier budgets (@ A&M, Louisville,@ FSU, SCAR, and Bama), and Notre Dame who does not report spending but finished second in total revenue this year behind only Texas. 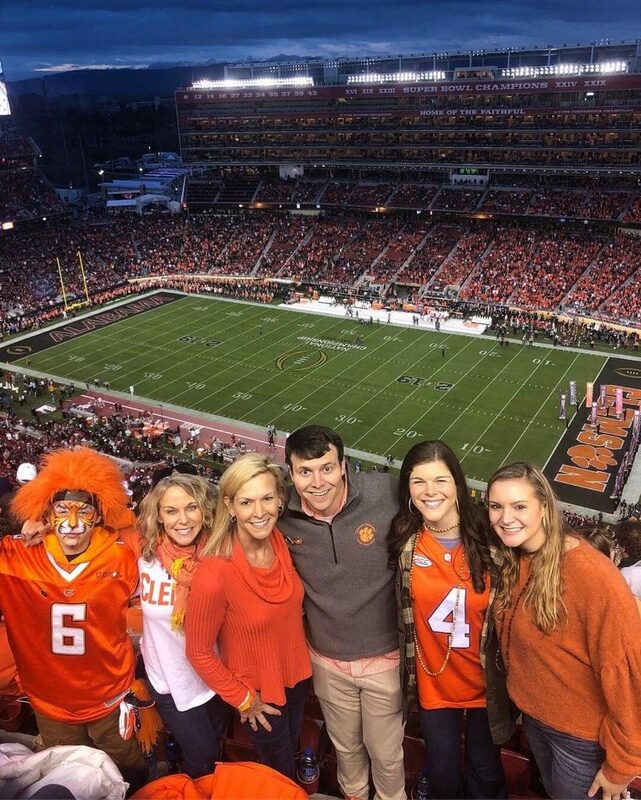 Clemson dominated those games by an average score of 49-18. Buckle up buttercups because here comes Billy Beane’s Moneyball, College Football style. Clemson found value in players that were overlooked in some fashion. No shortage of 4 and 5 star recruits exists in Tiger Town, but look deeper. One other program offered star Travis Etienne prior to his Clemson Commitment: home state LSU. He is not “built” like SEC running backs (Fournette, Gurley, and Henry have 3 inches and 30+ pounds on Etienne) so schools were hesitant. He just finished 7th in the Heisman voting as the top running back this year. Renfrow was a walk on QB who became an All-ACC receiver, played 42 consecutive games with a reception, and decimated Alabama in 2 of his 3 title games. Chase Brice, a backup QB, engineered a game winning drive against Syracuse when Trevor Lawrence was sidelined with injury, and Albert Huggins, a backup DT, filled the gap for 1st round talent Dexter Lawrence during the entire College Football Playoff. Kicker Greg Huegel came off a serious ACL injury and a yearlong rehab to win a national title and make crucial field goals to get there. They’ve also managed to hold onto players long after most schools do. 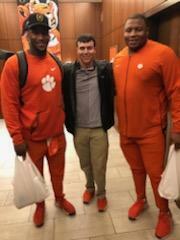 Defensive linemen Wilkins, Bryant, and Ferrell and offensive lineman Mitch Hyatt stayed in school instead of leaving for the early rounds of the 2018 NFL Draft. Dahl once said, “The greatest secrets are always hidden in the most unlikely places.” The secret to success in College Football was hidden in Clemson, SC but is out now. Major programs are changing gears to copy Swinney’s model by going after young and energetic coaches instead of the big-name NFL dropouts we are used to seeing, building extravagant player-friendly facilities, dancing in the locker-room after wins, and building better men through family atmospheres for athletes. These up-tempo, spread offenses are all variations of the same style Chad Morris debuted at Clemson in 2011 (I’m looking at you, BIG 12). We are starting to see more physicality in the secondary and speed up front which is a prototype of Venables’ defensive scheme (I’m looking at you BIG 10). All of these aspects, Clemson fans have seen for nearly a decade. Bad news for any fans out there wanting some variety in College Football to avoid seeing Clemson again at the top: you will be seeing a heavy dose of Clemson or Clemson’s model for years to come. This entry was posted in Featured, Pigskin and tagged Alabama Crimson Tide, Clemson, College Football, Dabo Swinney, DeShaun Watson by Nele. Bookmark the permalink.